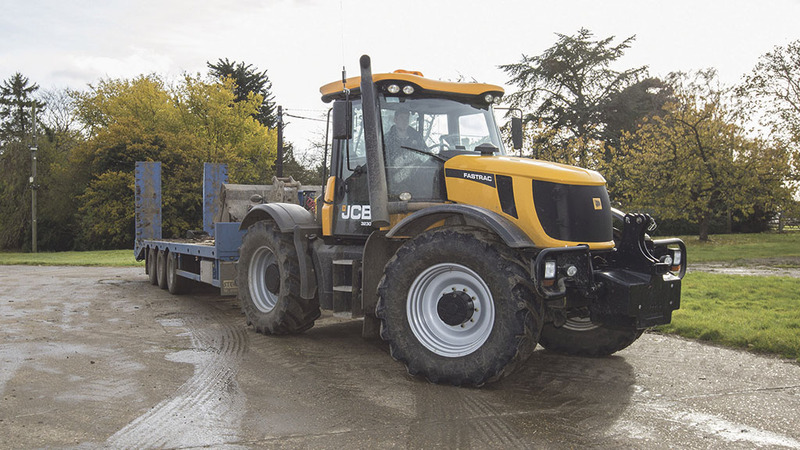 If you are seeking a 200hp tractor to handle a wide variety of trailer work, while still capable of field duties, a used JCB Fastrac 3000 should be on your shortlist. Geoff Ashcroft reports. Few tractors have stood the test of time quite like JCB’s Fastrac 3000-Series. Introduced in 1998 to replace the 100-Series, it remains in production today. We test JCB's Fastrac 4000. Take a look at the new Fastrac 8000. Early models included 3155 and 3185, with Perkins 1000-Series and Cummins B5.9 engines, respectively, plus Autoshift 54 by 18 transmission with 65kph (40mph) capability. Compared to the 100-Series, a triple link front suspension system meant turning circle was reduced to within a county boundary. Anti-lock brakes followed in 2001, and a year later, Cummins QSB5.9 power upped the ante, seeing 3190 and 3220 models arrive. A larger QSB6.7 arrived in 2006, and with common rail injection provided 198hp and 230hp for the 3200 and 3230. Smoothshift 54 by 18 transmission and Plus specification arrived too – the latter with electronic spool valves. Take a look at Mercedes' Unimog, offering similar transport capabilities with 90kph top speed and 40 tonne maximum gross train weight. By 2011, Fastrac 3000 Xtra arrived, with a 24 by nine P-Tronic semi-powershift and 7.4-litre Sisu engine, paving the way for Tier 4 Final emissions compliant models in 2014. Our featured Fastrac is a 3200-65 Plus, built in 2007. Tractor model numbers almost mirror engine power, with this 3200 packing 198hp. Additional numbering, such as 3200-65 or 3230-80, denotes top speed capability in kph. A change in final drives creates the road speed differential. While the turbocharged Cummins common rail engine was a proven performer, do not be surprised if the one you find has been subjected to an engine remap or ‘chip’ to tweak output. Pay attention to exhaust components, as high-houred models tend to blow holes in the exhaust silencer, which will cost at least £485 to replace. 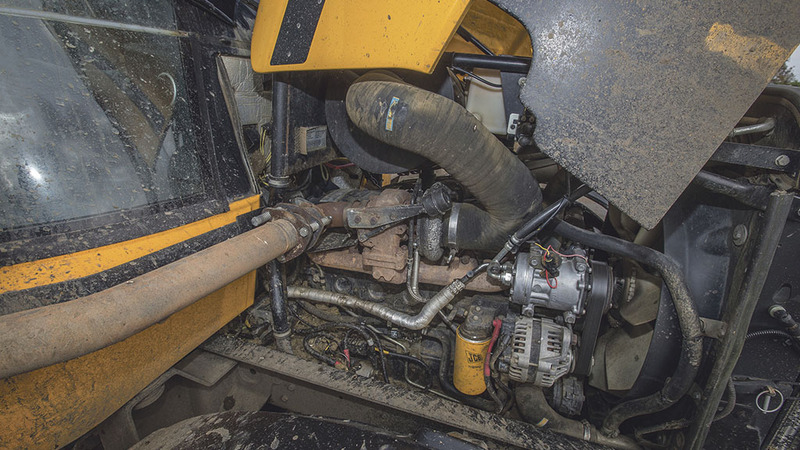 A wet clutch is found with the 54 by 18 Speedshift transmission and the clutch is reportedly backed by JCB for about 6,000 hours. The Eaton six-speed transmission gets a three-speed powershift, plus high, medium, low and reverse. Actuation is by air cylinders at the back of the gearbox working with micro switches. When linkages wear, switches will not recognise a shift and fault codes will appear on the dashboard. 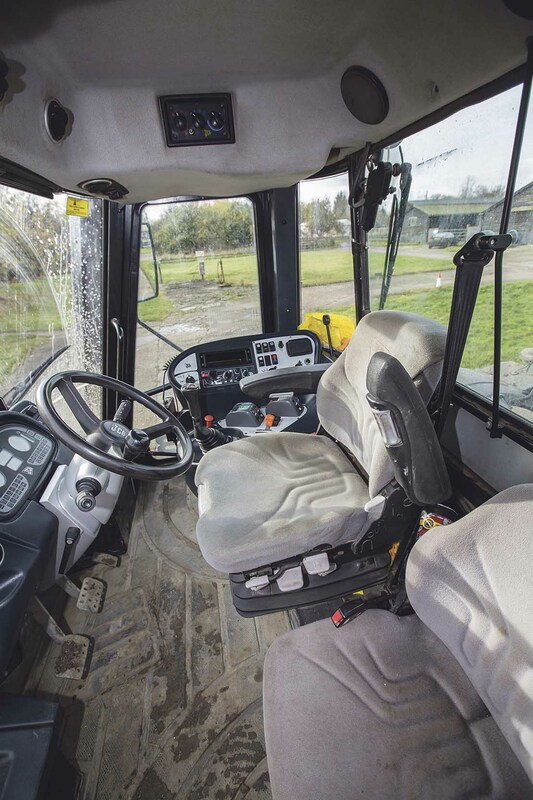 The Fastrac 3000’s cab has changed little over the years, offering a wide but short-backed cab with a central driving position. There are compromises to be made for taller operators seeking extra legroom, and a seat pushed fully back means you will hit the rear window latch. A complex dashboard offers a wealth of information from service details, fault codes, performance monitor and tractor data, but interrogating it might involve using the manual. High-houred models can suffer with cracking on the dashboard panel where buttons are repeatedly pressed. A short-throw gear lever attached to the console and electric spools denotes Plus specification. A long-throw, floor-mounted lever suggests a base-spec 3000. The front of the seat base can suffer from excessive wear, simply because the steering column is not user friendly when it comes to moving it out of the way, which sees operators squeezing themselves in or out below the steering wheel. 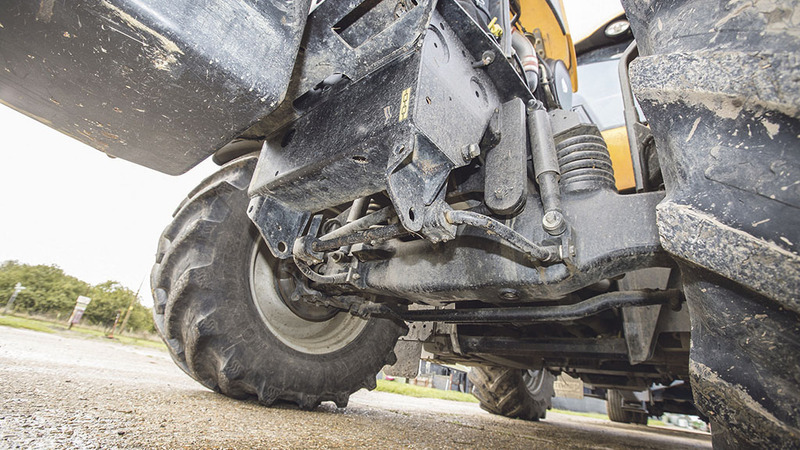 JCB’s full suspension system sees the Fastrac using coil springs with dampers up front and a hydro-pneumatic self-levelling system at the rear, to keep a constant ride height. The front end also gets an anti-roll bar. 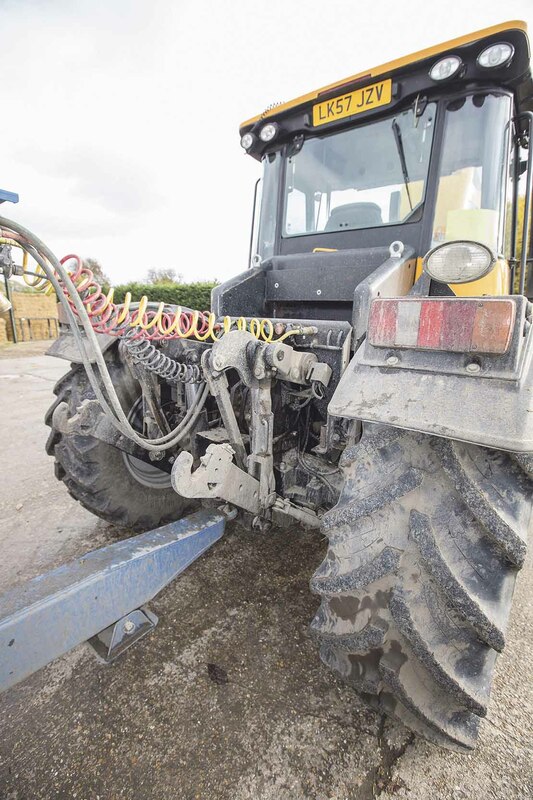 It is no surprise the complex nature of full suspension means there are a lot of shafts and linkages within the Fastrac chassis, so you will need to get underneath and give everything a thorough inspection, looking for wear, lack of grease and general well-being. Outboard disc brakes with ABS provide the stopping power through an air over hydraulic system. But be aware there are different caliper set-ups according to specification, which affords different levels of durability. As standard, 3200 models get single calipers and a nine-tonne GVW, while 3220 models get twin calipers and a higher 12-tonne GVW. Twin calipers were an option on 3200 models. Brake pads have a groove through the middle of them, which is an easy way to check wear. Beware of brakes sticking, or driving with the handbrake on, as users suggest you can start a fire pretty quickly as a result. 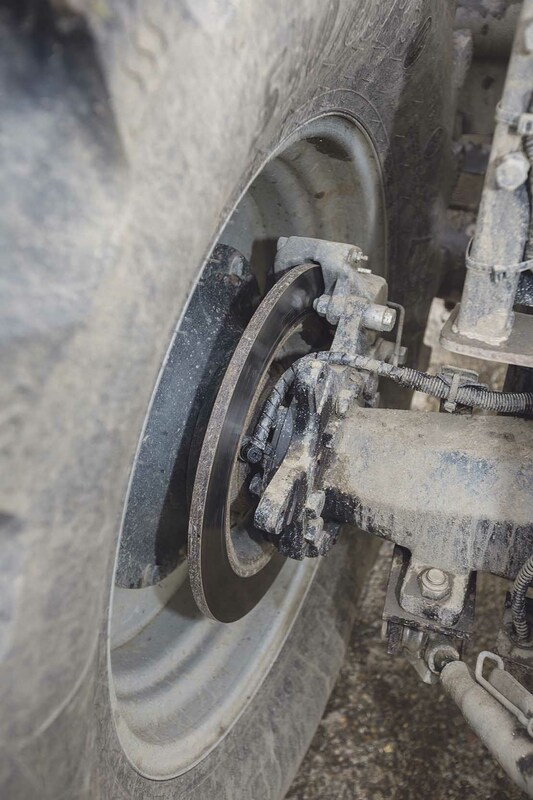 Those using their Fastracs mostly for trailer work will find the Dromone hitch up to the task, but keep a watchful eye on hook wear and linkages. Plus model’s electronic Bosch spools suffer with condensation affecting each valve’s circuit board. There is no cure and replacement is costly, so look for error codes. Rear PTO system is run directly off the gearbox, and as such, a front PTO can be easily retro-fitted using shaft drives. Speeds are 540rpm and 1,000rpm. Zuidberg bolt-on front linkage can be fitted too, and was available as an option. Rear axle security is afforded by a V-link which sits on the diff casing, extending forward to the chassis. It uses a large ball socket to enable oscillation and its rubber seals can deteriorate, allowing dirt and grit to enter the ball and socket. A seal kit is available, but by the time most operators have noticed the axle movement, the ball will be worn to the point where a new V-link is required.